Low Lock tattoo Studio - Ron Meyers - Evil Portrait of Tattoo Artist Manuel Vega on his hand. nothing like the pressure of tattooing a portrait on a "Portrait Artist"!!! 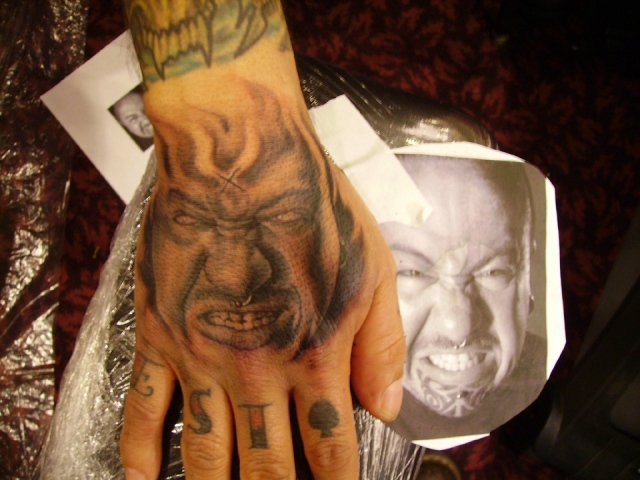 Ron Meyers - Evil Portrait of Tattoo Artist Manuel Vega on his hand. nothing like the pressure of tattooing a portrait on a "Portrait Artist"!! !